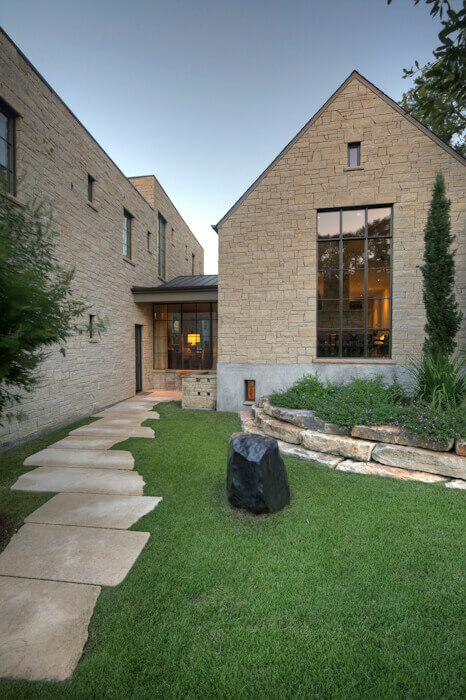 This house, situated on a prominent corner lot in an established neighborhood, was designed to maximize privacy and take advantage of the natural slope. Comprised of two main wings connected by a glassed wall element, the interior layout offers a flow for entertaining and openess to the outdoors. A special emphasis was placed on the pool terraces and patios and their integration into the overall design of the house. 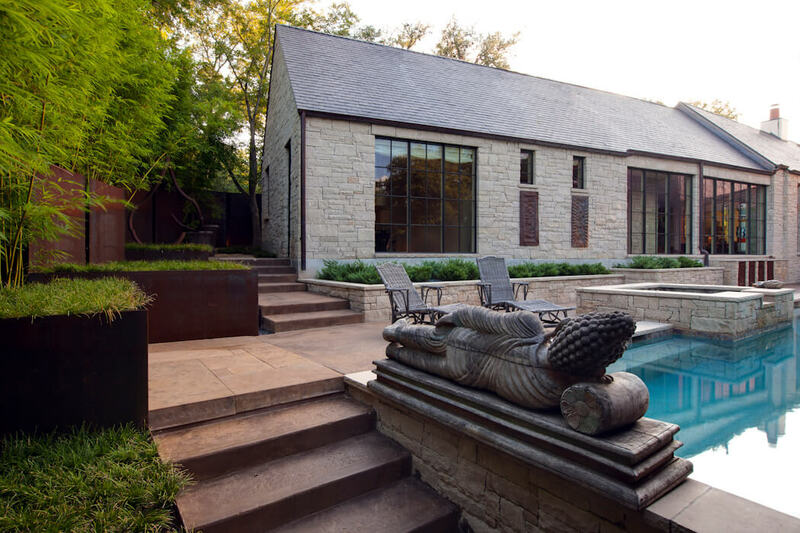 Exterior gray lueders limestone walls and slate roofs paired with simple forms are used to give the house a classic English character in an understated manner. 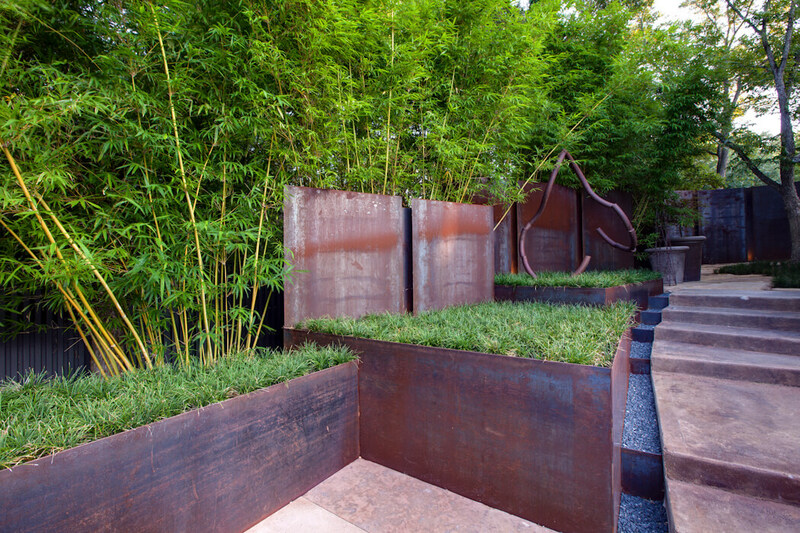 Landscape design was done in collaboration with Bill Bauer and Bill Robertson of the Garden Design Studio.